When I was younger, I spent most of my school year living with my mother. My grandmother and her husband lived just a short walk down a dirt road from us. My grandparents were neighbors and friends with a family that owned goats. I remember these goats as ornery and aggressive. Going into their pen felt like a life or death situation to me as a child. 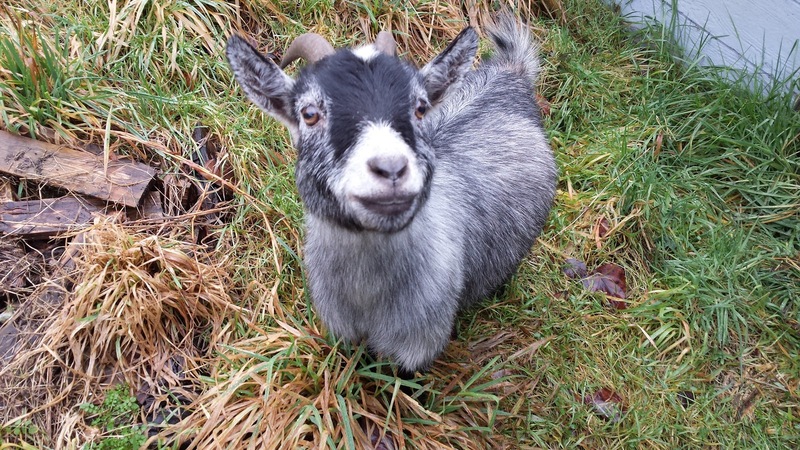 For a really long time, even after we moved into town, I was nervous around goats. The shapes of their pupils were unsettling, they stank, and I perceived them to be overtly hostile animals. We bought a house in September, and it came with 2.44 acres. 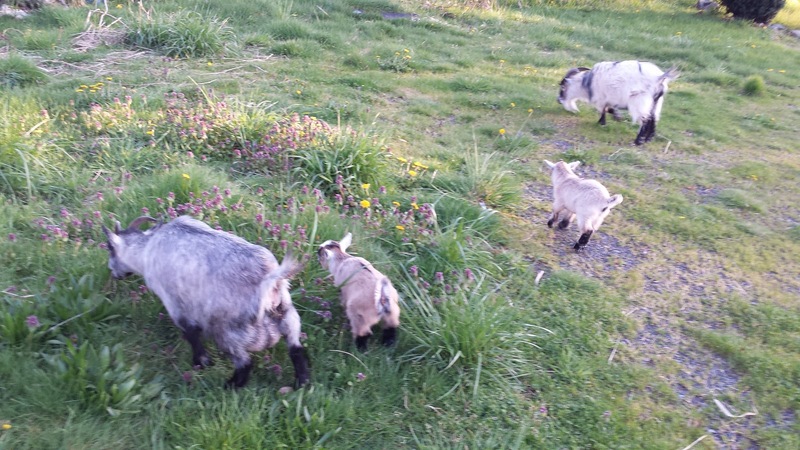 We joked at the time that we should rent goats from a local to help us mow the grass (before we knew they were browsers by nature). Then one day it dawned on me - why rent when we could own? I mean, it's the question that got us into this happy mess in the first place. So I scanned and skimmed CL for weeks, until I came upon the two most darling, loving pygmy goats you could ever imagine, and I fell head-over-heels. Dove is sweet and quiet, but when the camera comes out, she strikes a pose every time! Buck is very chatty and enjoys nibbling on electronic devices. We bought the pair from a very friendly woman who had run out of space, and it was clear that these two goats were some of the most well-loved and well-trained goats on the planet. They are sweet, curious, and careful. Dove is the sweet Black Agouti and the handsome, horned devil is Buck (aptly named). When we bought them in January, we knew Dove was pregnant. She was a rectangular box with hooves and horns. Buck was an intact buck (though we have since fixed that). It's been quite a journey, we can tell you that much! On National Pi Day (3.14), we helped Dove and Buck welcome two adorable twin boys into the world. Though, to be honest, she had a perfect birth while we were out antiquing and we came home to clean fuzzballs in the hay while she was slurping up the placenta. At first, one was a little runty and underdeveloped (and we thought he was a she), but within 24 hours, everything was great. We decided to call them Sam and Dean. 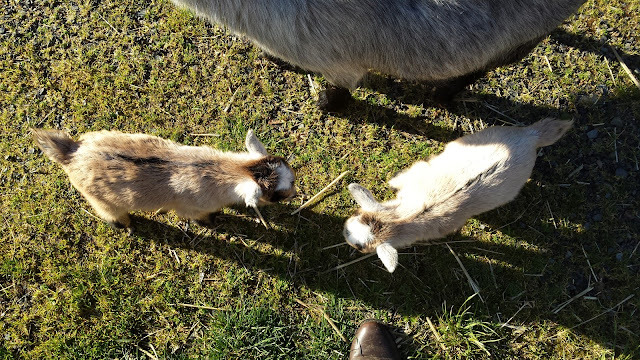 The kids are teething and chew on the grass while the adults browse. Left to right: Sam (darker caramel), Dove, Sam (lighter caramel). When our vet came out to castrate Buck, he was surprised by their size given they were only 10 days old at the time of the visit. Apparently, given that our Buck is so sweet-tempered, of good size, and wasn't the messy stinker some bucks can be, we probably should have left him intact to keep on breeding. Since owning Dove and Buck, though, we have learned that they are incredibly attached to each other. The bond is somewhat remarkable, and we wanted to preserve it. Besides, with pygmies being pernicious breeders (and having two new boys to add to the herd), we figured we would save ourselves and Dove the stress if we wethered all of the boys. While we plan to build the herd, we want to add genetic variety and do so on our own time. It's a different sort of step in our search for safe harbor, but I think it helps keep my husband active. His mobility is still very limited, but the emotional and physical wellness that comes from watching and playing with the goats is markedly different from when he was laid up in bed for months. It's a huge improvement in our eyes. 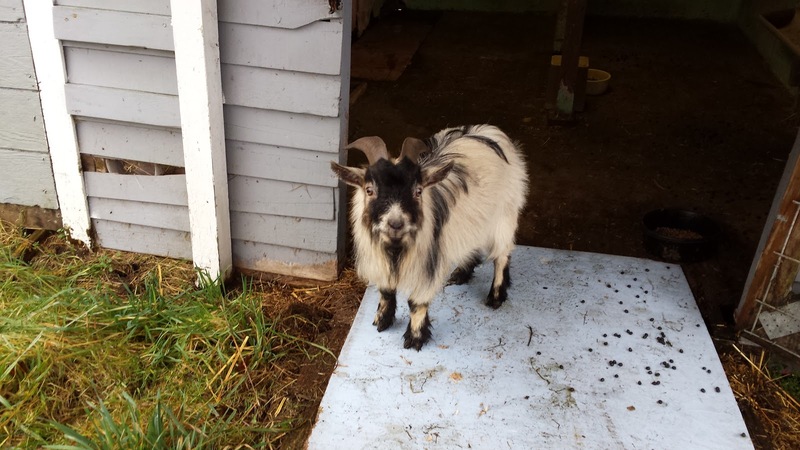 If you like practicing mindfulness and want to follow along with our funny little goat herding journey, be sure to check us out on Facebook @ The Mindful Goat or look for #themindfulgoat.